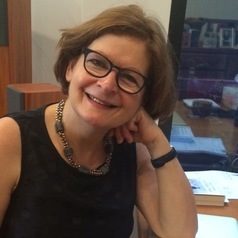 A graduate of the University of Melbourne, Deirdre obtained a BPhil and DPhil from Oxford University. She has held Visiting Fellowships at Cambridge University, the University of London, the IAS at Warwick University, and the Huntington Library, LA. She is a Fellow of the Australian Academy of the Humanities. Deirdre teaches 18th-century, Romantic, and Victorian Literature. Her research interests include 18th and 19th century British and Irish literature, science, and cultural history; abolitionism, women’s writing, travel, colonialism (Africa, Australia, India), natural history, racial ideology, the gothic. Deirdre's most recent book is Henry Smeathman, the flycatcher: Natural History, Slavery, and Empire in the late Eighteenth Century (Liverpool University Press, 2018).